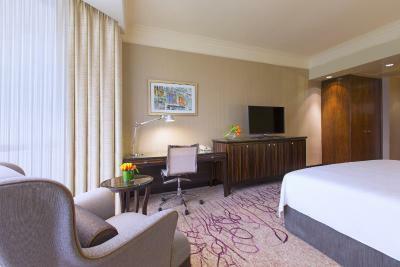 Lock in a great price for Sheraton Towers Singapore Hotel – rated 8.3 by recent guests! The attention, the food, the location. I was happily surprised to see that the hotel was very well run. Location wasn't that great but staffs are helpful! Besides, bed is so comfy! front desk and information center are very helpful. entrance personnel are polite. the room was quiet and made me sleep easily. The hotel arranged a bday cake for my partners birthday! It was waiting for us in the room! I really liked the fact that you provided Razors in the amenities. The lounge was very nice. The rooms were very nice and well appointed. Wonderful and helpful staff, timely elevators, delicious dessert, great choices of after dinner drinks, outlet next to the bed, very comfy bed, great lighting in the bathroom, luxurious window, beautiful pool! I think this Sheraton was really good and actual Sheraton :) I mean everything was amazing. Easy access to all locations. Staff were helpful and friendly. Room is clean and comfortable. 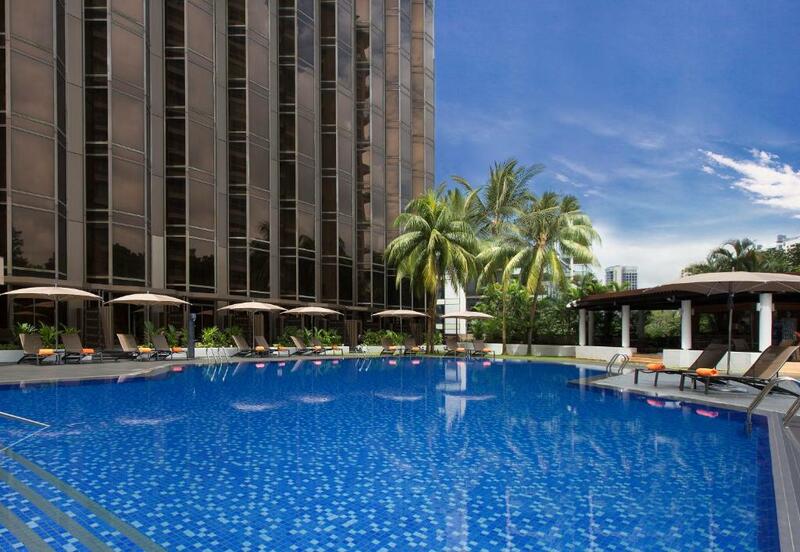 Sheraton Towers Singapore Hotel This rating is a reflection of how the property compares to the industry standard when it comes to price, facilities and services available. It's based on a self-evaluation by the property. Use this rating to help choose your stay! 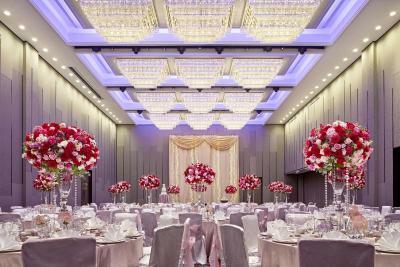 The award-winning Sheraton Towers Singapore Hotel offers 5-star accommodations and service. It features an outdoor pool, pampering spa treatments and a 24-hour fitness center. 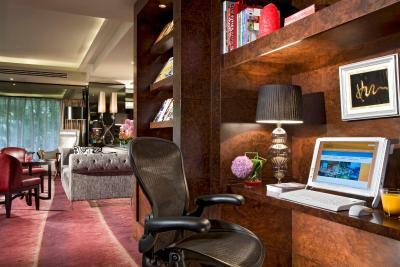 Complimentary WiFi access is available at the lobby daily. Free shuttle service is provided to Buona Vista. Fitted with floor-to-ceiling glass windows, all the air-conditioned rooms come with a flat-screen TV, a mini-bar and a laptop-sized personal safe. 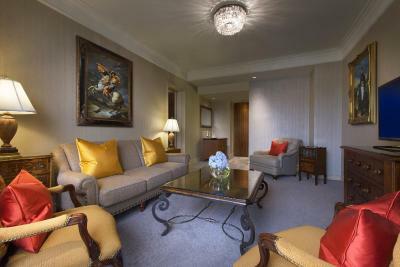 Suites have a separate living room. The private bathrooms have a bathtub and shower. 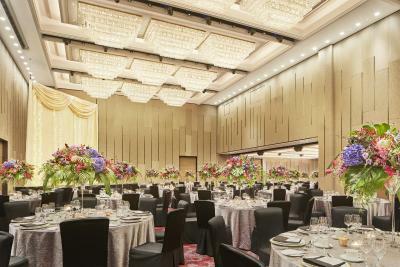 Sheraton Towers Singapore Hotel is just 1,300 feet from Newton MRT station, linked with the Downtown and North-South Lines, therefore making it conveniently located to many places of interest. It is 10-minute walk, or 1 MRT stop away, from the popular Orchard Road shopping area. It is 0.6 mi from local food stalls at Newton Circle Food Center. Changi International Airport is a 30-minute drive away. Healing massage therapies and treatments are featured at the hotel's spa, while a sauna and steam room are also provided. 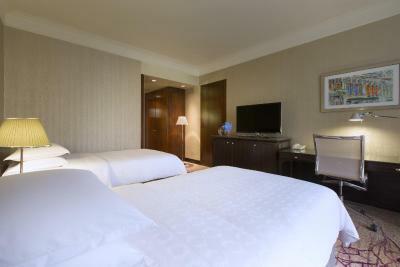 Guests can check e-mails at the 24-hour business center, or request for laundry services. 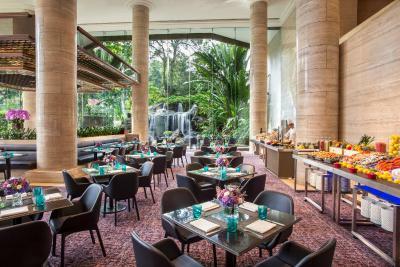 Overlooking man-made waterfalls and gardens, The Dining Room offers sumptuous buffet meals. 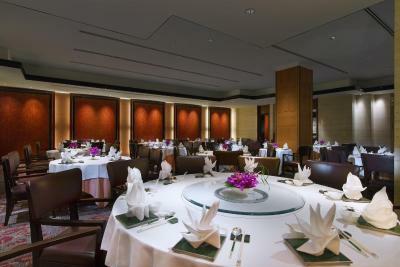 Another dining option includes Li Bai Cantonese Restaurant, that serves up authentic and refined Cantonese cuisine. Cocktails are available at The Lobby Bar and The Pool Bar. 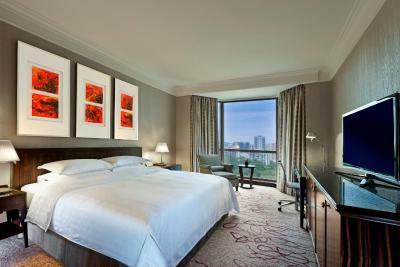 When would you like to stay at Sheraton Towers Singapore Hotel? This double room has a tea/coffee maker, tumble dryer and air conditioning. 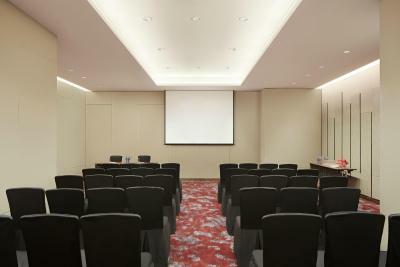 Elegantly refurbished with spacious work areas especially designed for the business travelers. Private parking is available on site (reservation is not needed) and costs SGD 20 per day. This double room has a iPod dock, electric kettle and tea/coffee maker. 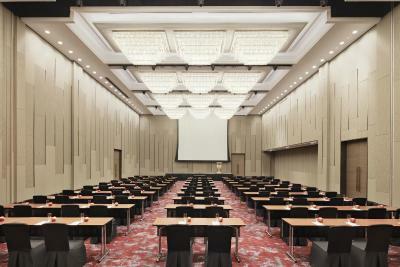 Elegantly refurbished with spacious work areas and complimentary in-room internet specially designed for the business travelers. This double room features a tumble dryer, iPod dock and electric kettle. This double room has a flat-screen TV, iPod dock and tumble dryer. 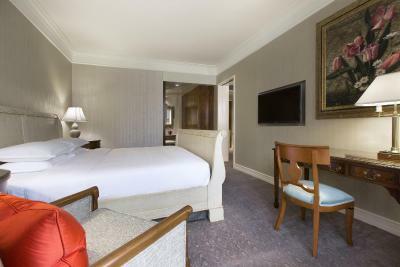 A favorite among business travelers, the room offers complimentary in-room internet, exclusive access to the Towers Executive Lounge, daily buffet breakfast at The Dining Room and more. 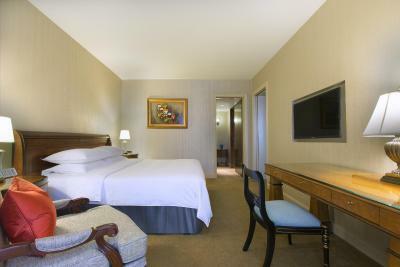 This double room features a bathrobe, seating area and satellite TV. 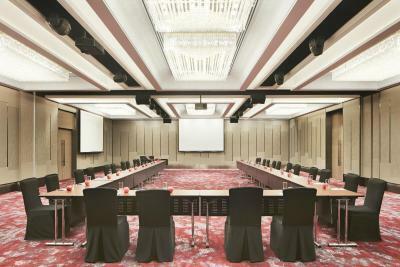 A favorite among business travelers, the room offers complimentary wireless internet access, exclusive access to the Towers Executive Lounge, daily buffet breakfast at The Dining Room and more. 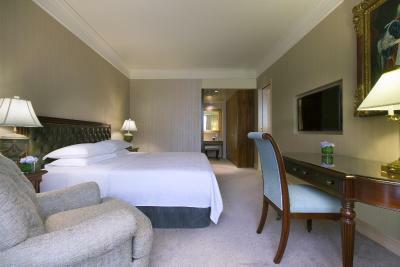 This double room has a balcony, mini-bar and executive lounge access. Located on the fifth floor, the Terrace King room has an attached balcony providing guests a private relaxing area within comforting surrounds of fauna and flora. This double room features a flat-screen TV, mini-bar and soundproofing. 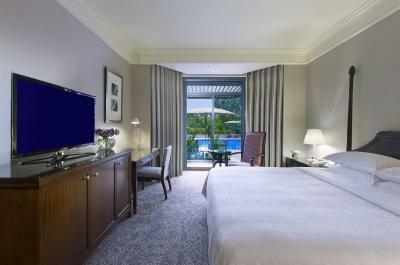 Located on the fifth floor, the Pool King room comes with an attached private balcony and direct access to the outdoor pool. Nestled in the secluded wing adjoining the outdoor pool, the Cabana King room exudes a sense of rustic resort living with intricately carved teak four-poster bed and matching wood furnishing. 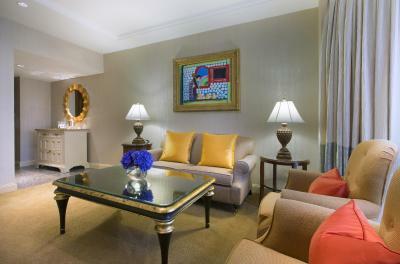 This double room features a executive lounge access, tea/coffee maker and dining area. 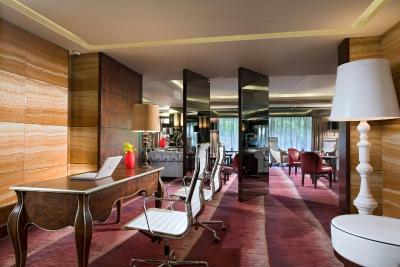 The unique interior of each suite is characterized by a distinctive heritage city with complementing paintings and furniture. 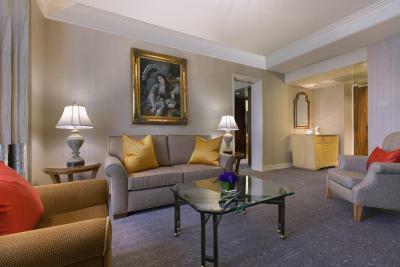 Completed with cream marble flooring, the tastefully refurbished Deluxe Suites have both a sitting and dining room in the living area which offers the comfort of a spacious sanctuary. This double room features a seating area, soundproofing and satellite TV. Perched on the higher floors, the Royal suite offers a scenic view overlooking the city and features a separate living area with a sitting room, dining room and kitchenette. 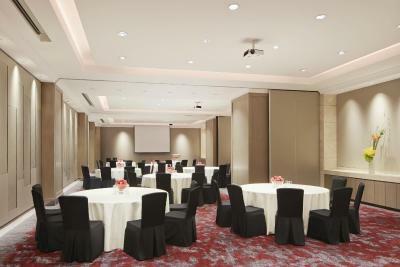 Centrally located, Sheraton Towers Singapore is a mere 10-minute walk from Orchard Road. The newly opened Downtown Line at Newton Interchange train next door makes the hotel even more accessible to major places of interest. 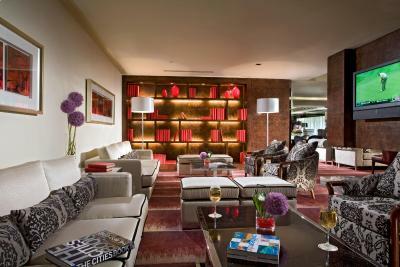 Our attention to detail compels us to provide the highest standard of hospitality. With our hallmark service, we will ensure that your sojourn with us is full of pleasant memories so that you will look forward to staying with us again. 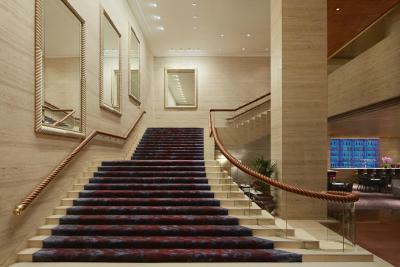 House Rules Sheraton Towers Singapore Hotel takes special requests – add in the next step! Sheraton Towers Singapore Hotel accepts these cards and reserves the right to temporarily hold an amount prior to arrival. Please note that extra bed rates are subject to additional charges. This does not include breakfast or access to the Executive Lounge for the 3rd person. The Executive Lounge is not open to children aged 12 years old and below. Room had a dated feel to it. 1) The room card sometime is not working. After enjoying the Swimming Pool (at level 5), I need to go down to level 1 to the Receptionist to re-activate the card. 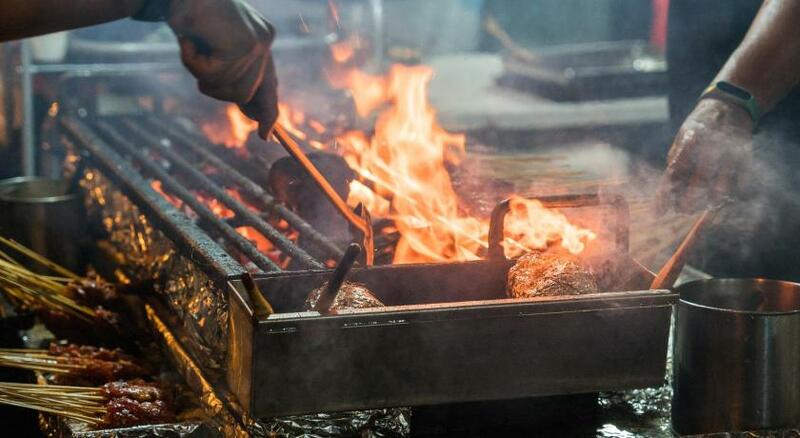 2) It would be better if the chicken/beef that being serve is from halal source. As for the bacon/non-halal food is put at separate table during breakfast. The Room is very clean. The bed is very comfortable. The concierge/staffs are very friendly. The awesome view during breakfast. The price is superb. Breakfast service was a little bit slow could do better. Breakfast was good. Rooms were fine. Such a lovely hotel. We will return.